Ideally located in the upscale Clayton business environment with easy access to the I-170 and I-64, this facility offers quick access by car to downtown and to many nearby hotels, restaurants, and federal building and stores. Offices are based on the 8th Floor of this Bemiston Tower with offices tastefully designed and offering grand views throughout. The facility houses an onsite gym and café to be used by guests and clients alike. Leased office space at Creve Coeur, this being an upscale area of St. Louis. The centre has a great roof terrace and provides easy access to the downtown areas and a quick drive to many nearby restaurants and stores. The office are offered furnished and with many meeting rooms complimenting a great working environment. Executive service space now available in Creve Coeur near this West St. Louis location. This is a prime executive facility close to Monsanto HQ. 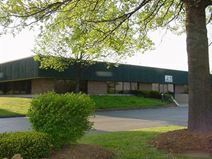 The facility offers spacious offices with many conference rooms, good parking and the use of onsite vending machines for snacks and drinks. This newly renovated center is set in a prestigious building surrounded by wonderfully landscaped grounds. The building boasts a low carbon footprint, and is easily accessible from downtown. Major highways and an International Airport are moments away. Rental serviced space is located close to Creve Coeur and with easy access to the I-270 to Craig and Olive. The centre offers convenience to lots of nearby restaurants, shops, cafés, and a grocery store. This facility is well built and well designed throughout with 110 offices and two receptions making this an ideal business location. Special care give as this is a family run facility with ample parking offers. Four-story grey brick and reflective glass building next to Laumeier Sculpture Park provides the setting for this center. The area surrounding the building is strong economically and has a diverse range of companies from recruitment to law. Downtown St. Louis is also only about 20 minutes away. When this center opens it will be housed in one of St. Louis landmark buildings and provide access to the citys CBD which is home to a variety of companies ranging across finance, law and pharmaceuticals, to name just a few. Office space situated near the I-270 close to Sunset Hills and with less than a 20 minutes’ drive to the International Airport. The centre offers 36 offices with various size configurations and prices reflect the amount of used space. Complimentary parking is available for all to use. 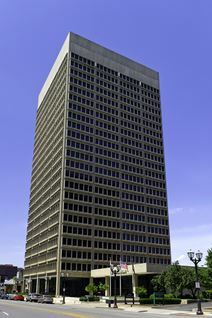 Executive suites close to downtown with a short drive to St. Louis Airport and to other major transport routes. The centre is close to the gym, banks, restaurants, and many retail stores and hotels such as the Sheraton. The offices are well designed and fully furnished offering many amenities with great support staff.